At Clif Bar & Company, sports have always been about more than simply wins and losses. 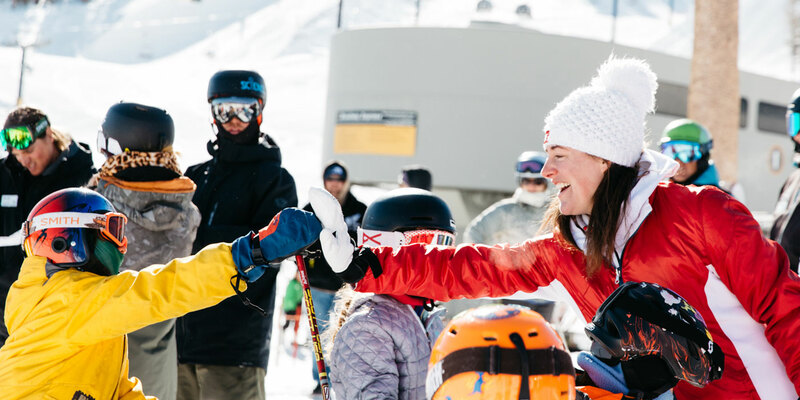 We support some of the world’s best competitive athletes in sports ranging from cycling to snowboarding, and we also support up-and-comers and amateurs. Perhaps even more importantly, we look for athletes who are genuinely nice people — who give back to their communities or the planet, and who care about the transformative power of sport as an agent for good. 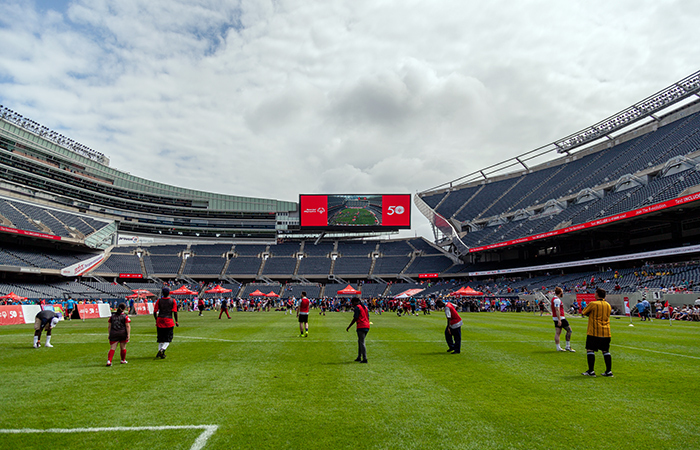 That’s why we’re a proud new supporter of Special Olympics, beginning with its 50th Anniversary event held in Chicago in July 2018. 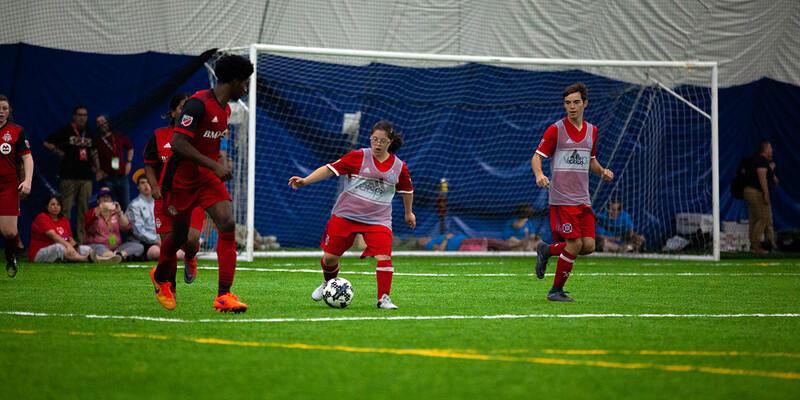 The event brought together 300 athletes from around the world for the first-ever Unified Cup — 16 male and eight female soccer teams comprised of young adults with and without intellectual disabilities. Not separate teams, but inclusive ones. 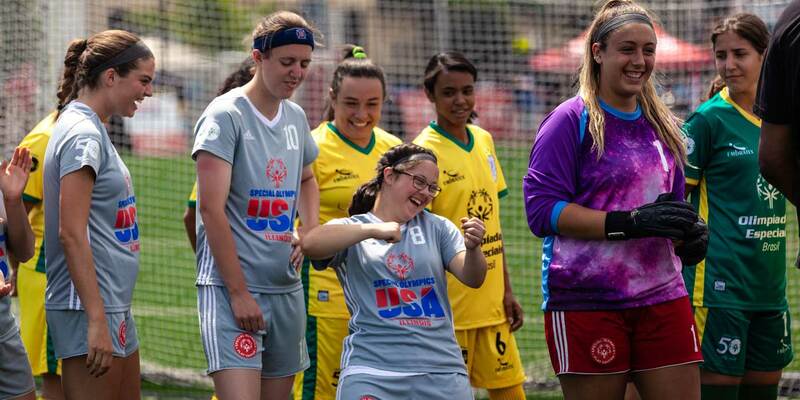 Athletes with disabilities played alongside those without. 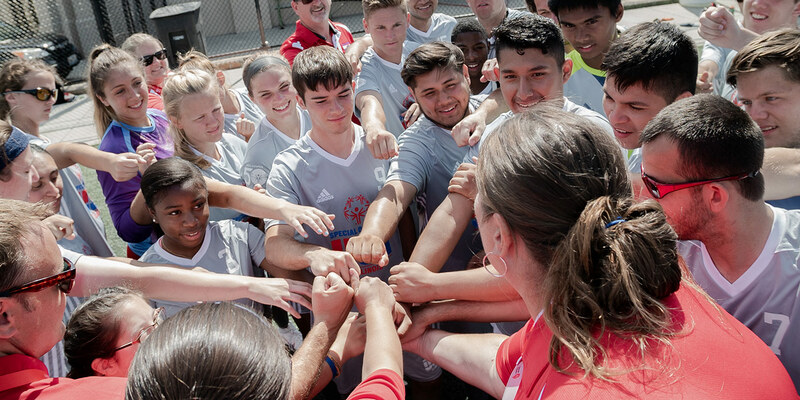 All bound by their love of sport, playing the world’s most popular sport in front of thousands of spectators and culminating in nationally televised finals matches on ESPN2. 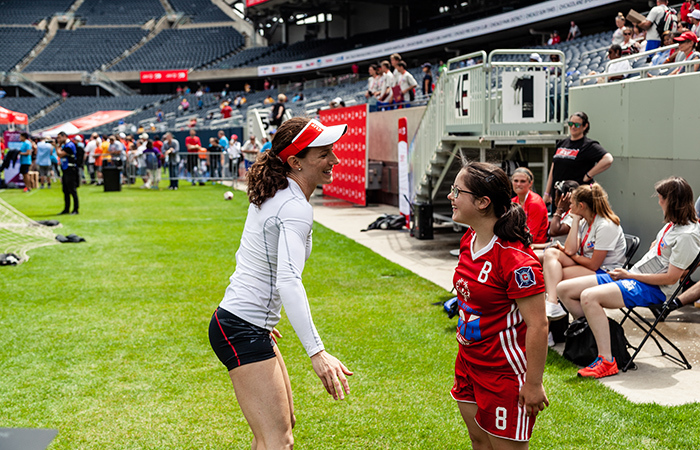 As part of our inaugural Special Olympics experience in Chicago, Clif Bar brought along professional athlete Rose Wetzel to help train, cheer on, and inspire Special Olympics athlete Alexa Donato, a member of the Special Olympics USA – Illinois female Unified soccer team. Not surprisingly, Rose is a non-stop bundle of energy who runs marathons, competes in four-hour obstacle course races, and has ridden her bike 12 straight hours from her hometown Seattle to Portland. Perhaps her energy is a survival technique from being one of nine children. Yet it’s being a role model for children, especially young girls, that still drives her “by showing them how to be strong and confident in our society,” according to her online biography. Alexa, 19, is another bundle of energy — intellectual and motor skill disabilities aside. She took up figure skating at age three and began playing basketball in fifth grade. Since high school, she has played soccer, softball, basketball, floor hockey, bocce ball, and track. “Anything she can do, she’ll play,” said her mother, Patty. 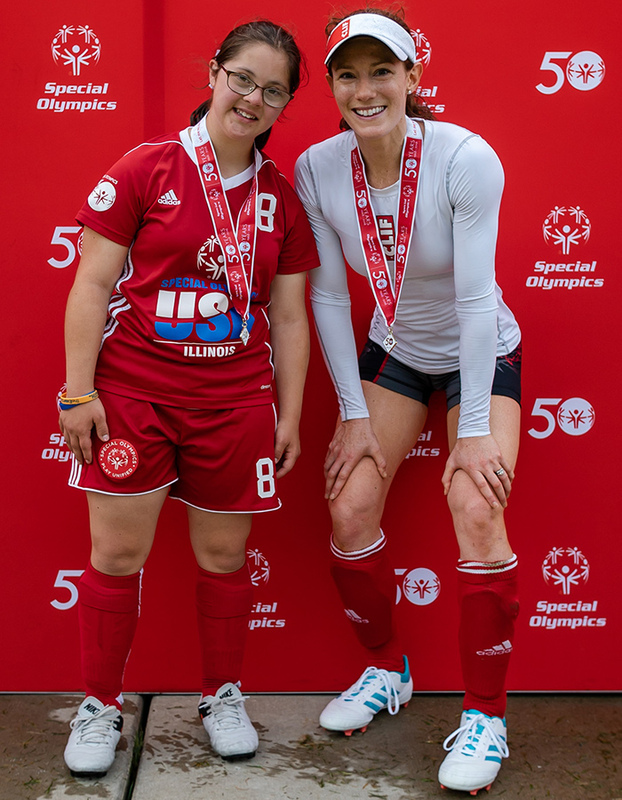 Between games at the Special Olympics Unified Cup event, Rose helped Alexa with stretching and agility drills, and the two talked sports, American Ninja Warrior, and life. Just two athletes sharing stories. 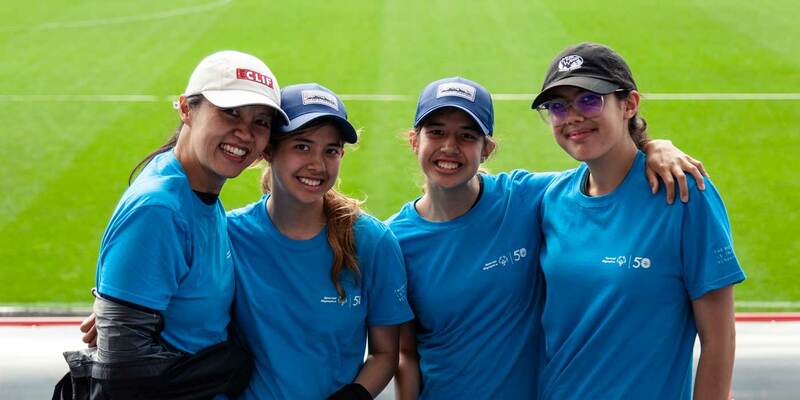 On the sidelines before their elimination game, some of Alexa’s teammates without intellectual disabilities good-naturedly ribbed and hugged her. “Sometimes they tease me, but I love them a lot,” Alexa said with obvious joy. Just a group of athletes, bonding as equals, having fun. While disappointed by the loss, Alexa walked away with far more than memories of the final score. “I had fun, and I’m coming back next year,” she said. “Being with my teammates and enjoying every minute — that was the best. I’m just so honored, so humbled to be here."